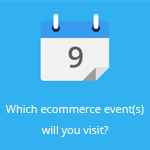 May 10, 2016 by Ecommerce News. About Payments with tags The Netherlands. 6006 views. Online payment method iDeal from the Netherlands registered the billionth transaction that happened via its system. The milestone was reached during King’s Day in the Netherlands, the national holiday that marks the birth of King Willem-Alexander. The online payment system has a market share of 56 percent and is being used since 2005. The milestone was shared by iDeal, which announced the billionth transaction happened at a New York Pizza franchise during King’s Day on the 27th of April last month. According to iDeal, the amount of transactions increased by almost 25 percent during 2015. According to the European Institute for Brand Management, iDeal is one of the most indispensable brands in the Netherlands, together with major brands such as Hema and Albert Heijn. The local payment method is also being used in foreign web stores in more than fifty different countries around the world. As a matter of fact, one in five payments that are completed using iDeal, takes places at a foreign ecommerce website. With a market share of 56 percent, iDeal is the most popular online payment method in the Netherlands.